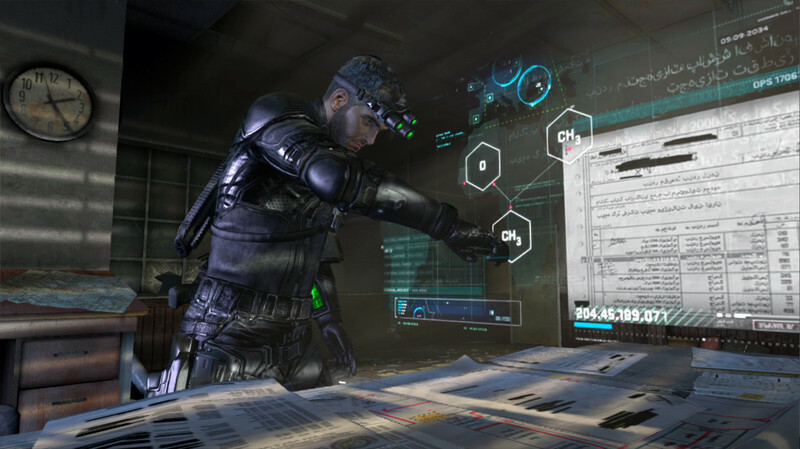 Just under a month out from release, James Cullinane takes a look at Splinter Cell: Blacklist to learn if Ubisoft can win back some of the stealth gaming fans it alienated with the game's flashy E3 2012 reveal. There’s a weird belief shared by almost all game publishers that the E3 demonstration of any new title must “pop”. In a way it makes perfect sense. The purpose of E3 is for publishers to woo column inches from the media, and to secure the largest possible orders from retailers. When the attentions of those journalists and buyers are pulled in every direction by hundreds of different games and products, shouting louder and waving more vigorously than the competition is one pretty direct solution. The result should be familiar to anyone who has watched more than a handful of E3 trailers: huge, impossible explosions, scarcely-covered breasts, and slow-motion depictions of staggering violence, all set to another interchangeable dubstep track. The irony is that at best, in their attempts to court attention with the same noisy or visceral techniques, these games bleed into one another in the mind’s eye until they’re all one indistinguishable brownwashed world viewed down the ironsights of another automatic rifle. At worst, they misrepresent the game entirely, confound media and fans, and cause the developers to bluster an apology before spending the next six to twelve months painstakingly undoing the damage of that initial showing. Such was the case with Splinter Cell: Blacklist. Just over a year ago, Ubisoft unveiled Blacklist at E3 2012 with a “go loud” gameplay demonstration that showed hero Sam Fisher chaining together executions in broad daylight and pulverising another mud hut village back into the sand for mom and apple pie. 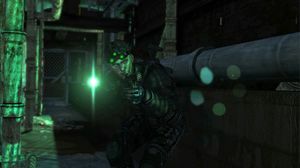 Stealth fans, an audience the Splinter Cell series had served admirably until this point, were understandably dismayed. “We were asked to appear on the Microsoft stage,” explains animation director Kristjan Zadziuk. “The problem is you can’t really have a five minute demo on stage where someone is hiding in the shadows in pitch black. It’s just not going to work. We knew we had to get people’s attention, we knew what we needed to do, so we thought, ‘Hey, what’s the opposite of Sam Fisher?’ So let’s go day, let’s go action. “It got people’s attention, it got people talking. The good thing about that is we were always intending to do stealth, but we wanted to show people we could do something else. Everyone knows Splinter Cell is stealth, right? So we wanted to show we could play with the big boys action-wise as well. Indeed it is not. In his mission to take down a new terroristic threat calling itself “The Engineers”, Fisher will be able to adhere to one of three gameplay strategies: Ghost, Panther, and Assault. Ghost is the silent, non-lethal method of gameplay. It favours the use of stuns and knockouts. Panther is similarly silent, but Fisher kills his targets as he progresses. Finally, Assault is the loud approach. An experience system is geared towards rewarding players for stealthier approaches, but as animation director, much of the work Zadziuk is personally most proud of occurs when playing in Panther and Assault styles. He is a scary-creative person with a blade... He’s like an animator’s dream. Adding depth and replayability is the artificial intelligence system. The goal for the player is to manipulate or game the AI, says Zadziuk. The section of the game we’re playing takes place in an industrial area of London. In its final stages, Fisher must bypass Engineer goons and scientists undetected, and he has several options for doing so. Two scientists strike up a conversation, thus distracting one another from seeing Fisher slip by overhead, but they might not have done so, says Zadzuik. In that event, Fisher might have distracted or immobilised one or both by means including knockout gas, electric shocks, or even a humble whistle. Altogether it creates a much more reassuring impression. 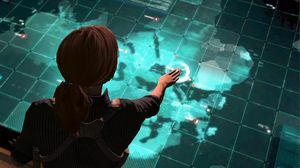 Ubisoft has had to claw back its cachet after a poor initial showing with Blacklist, but with a little under a month before release it appears well poised to quietly win over fans of stealth gaming. 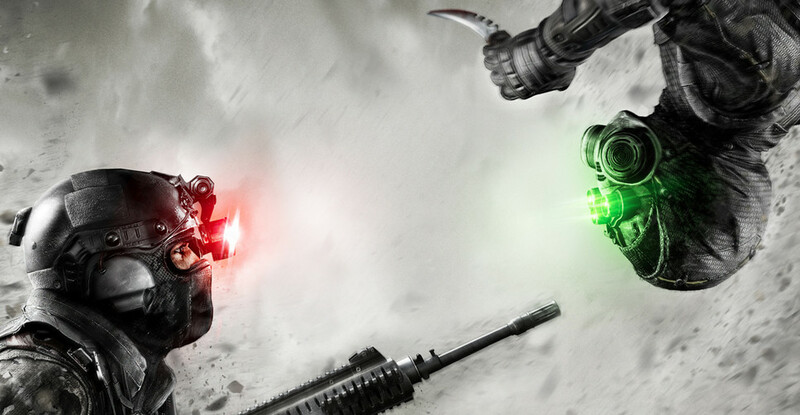 Splinter Cell: Blacklist is coming to PC, Wii U, Xbox 360 and PlayStation 3 on the 22nd of August.